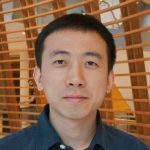 Dr. Li ‘s research focuses on primacy microcephaly (PM), a neurodevelopmental disorder characterized by a reduction in brain size at birth, usually caused by defects in cell division. He has identified mutations in proteins involved in cell division in PM patients and plans to create stem cell models to better understand the role these mutations might have in the process of cell division. He will further test some therapeutic solutions for the disorder, which currently has no cure. He is currently conducting his postdoctoral studies at Rockefeller in Dr. Joseph Gleeson’s lab.